Following on the theme if I was a Luxury Traveller, I would think I would have enough to money to Gamble and even TRAVEL at the same time! No longer would you have to budget yourself to stay at home and play on an online casino and weep that it’s not as exciting as being in an atmosphere that exciting and a hint of danger. I mean, would you cross the mafia if you won big? So as a Luxury Traveller, which would probably happen if I won the national lottery, I can think of 3 places that I would travel to win big thanks to TripAdvisor. Of course, in my last post of going on alternative trip in Las Vegas, I’m sure am going to hit ‘the strip’ and enter one of the prestigious Casino hotels such as Caesar’s Palace and get free drinks served to me as I compete with the old biddies (they are tres mean) in the slots. Or I can go count cards miserably on the blackjack tables. But at the same time, I can either celebrate or commiserate my winnings and losses by taking in one of the shows. If only Johnny Cash or Elvis Presley could be alive now. But now, I’ll have to settle for an Elvis Presley lookalike in front of me while I marry Amy Pond. With 18 casinos to enjoy and ‘glittering tigers’ to work through, this former Portuguese Colony truly has a 24/7 lifestyle. I know I’m adverse to travelling in China but maybe if I was a luxury traveller, I don’t have to think I’m in China. But while I’m there, I think I’ll bungee jump off the top of Macau Tower, now known to be the highest bungee jump in the world at 233m. Even more than the Nevis Bungee Jump that I did in New Zealand. Yet again, Jez of TravelFreak has bested me in the adrenaline competitions. I WILL beat him! Even if you tire of playing the ‘glittering tigers’ (slot machines), you can hop on over to the next city – Hong Kong. A surprising choice you may say. But after reading Jessie of Hiatus4Life on his weekend experience there, I’m pretty keen to head on over to America’s ’51st state’. 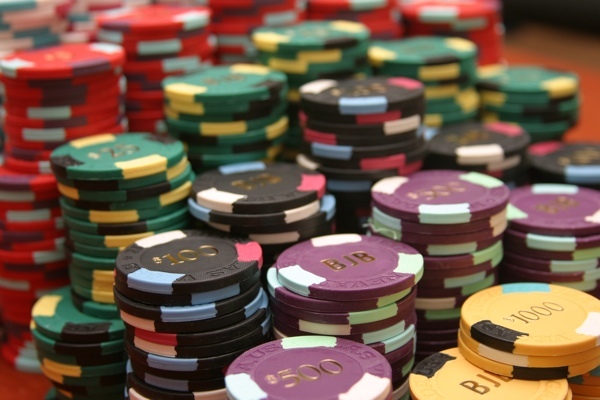 Considered as the most enjoyable gambling destination, you have a wealth of casinos to pick from San Juan to Dorado. Heck, you can even drive around Puerto Rico in a day! This Caribbean has plenty to offer if you tire of gambling from rainforest hikes, snorkelling and even swimming in the bioluminescent lagoon at night. Imagine that, you’re glowing with happiness from winning big and getting an experience in one! So if you’re a luxury traveller, would you go to these places? No? Where then? If you want to follow more RexyEdventures, please do follow me on facebook and twitter. Or you can even subscribe on my homepage to receive emails from this amazing website!